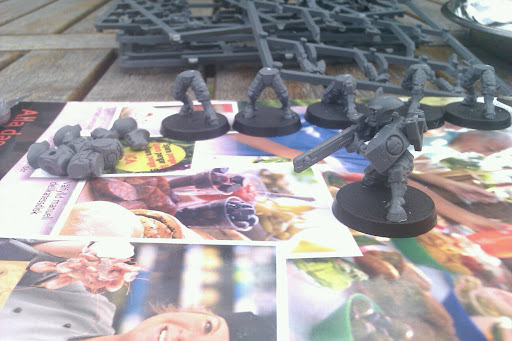 Sitting outside on sunny Gotland., building Fire Warriors. Going to kick Nicklas' silly little Eldar back to Commoragh on Thursday and I want some more guns on the field and the pulse rifle is some sort of a signature weapon for the Tau. It's quit impressive, such an old mini and still so fantastic! More fire warriors to the people.